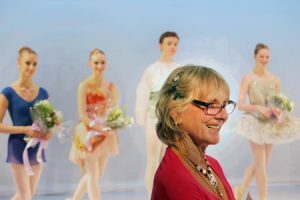 In 2009 Isla Baring was awarded the Order of Australian Medal (OAM) general division for her service to the arts — supporting young Australian musicians and performing artists! Isla Violet Baring OAM founded The Tait Memorial Trust in 1992 in memory of her father, Sir Frank Tait and his brothers, who played such an important part in the establishment of theatre and the performing arts in Australia. Isla’s mother, the singer Viola Tait, inspired her to organise a fundraising concert in support of a young Australian singer, Liane Keegan, who was newly arrived in London. It kicked off with a Christmas Concert at Australia House. The concert was a great success, became the foundation of our yearly events and Liane is now singing major roles in Berlin. John Rendall is a sixth-generation Australian, and currently divides his time between London and Sydney. John continues his commitment to the George Adamson Wildlife Preservation Trust and is a member of the Royal Geographical Society in London. He has been involved in travel-focused public relations, concentrating on conservation projects, lodges and reserves in Africa. John’s three children share his passion for wildlife and conservation. Along with fellow Australian Anthony Bourke, John Rendall took a lion (Christian) to George Adamson for rehabilitation in the Kora National Park in 1970. Christian’s successful rehabilitation was the subject of a book “Lion Called Christian” published by William Collins & Sons and subsequently filmed for television documentaries.